Welcome to Topretirements Best Places Newsletter for Aug. 16. We hope you will take just a couple of minutes to fill out our very quick retirement planning poll. Next week we will report on the results - but if you don&apos;t participate your voice will be left out! 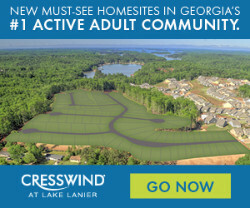 Celebrate our final phase and discover why Cresswind at Lake Lanier is Georgia’s best-selling active adult community with food, music and exciting new homes and homesites. Learn more at CresswindAtLakeLanier.com. One of the biggest decisions you make in retirement is whether to stay in your home or move somewhere else. Today&apos;s quick poll wants to know about your plans for selling, moving, downsizing, and what you might want to buy. Please give back to this community by sharing your answers! Social Security Trustees Report: Cuts Coming? Every year the Soc. Sec. Trustees report on the system&apos;s health. And every year they warn Congress action is needed to avoid massive cuts down the road (and Congress does nothing). Here&apos;s what they say in the report. A beautiful, low-key California lifestyle awaits you 25 miles north of San Diego. This town of 60,000 is famed for its surfing, outdoor opportunities, and beautiful neighborhoods like Cardiff-by-the-Sea. Rail transportation up and down the coast is good from here. We seem to have struck a nerve in our recent posts about downsizing and de-cluttering. 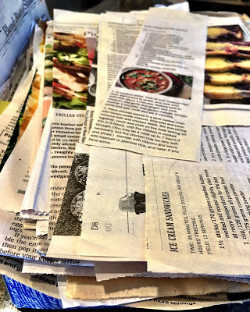 Lucy Burdette shares her experiences on cleaning out massive amounts of recipes collections. What are your stories?